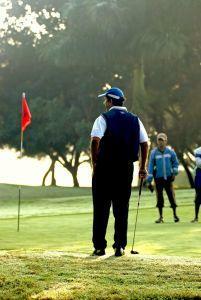 Are you involved in organizing a charity golf tournament? Putting together a successful golf tournament that is both enjoyable for the players and lucrative for your organization requires advance planning and hard work, but it can be done. If you have a strong committee, create solid a solid plan and stay on top of the many tasks that need to be completed, you can experience success. 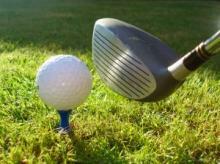 The key to planning a successful event is taking a systematic approach to charity golf tournament organizing. As soon as your organization decides to host a charity golf tournament, it's advisable to select a chair person, and then immediately start working with him or her to put together a strong committee. Create job descriptions for each committee position so that volunteers know exactly what they are agreeing to do. Choose people for the committees who have experience, are reliable, and have community contacts that can help make the charity event a rousing success. Before you can start planning a golf tournament, it's essential to have a location where the tournament can take place. Start by looking at your supporters to determine which ones might be able to help you secure a popular local golf course to host the event. It takes time to successfully market a golf tournament, so the date should be set as far in advance of the actual event as possible. The date should be set and publicized a minimum of three months ahead of time, but earlier is better. The sooner supporters know about the event, the more likely they are to be able to make room in their schedule to participate and the better opportunities you'll have to publicize the tournament to potential new audiences. When assessing available dates, research other activities that are going on in your community during the time frame you are considering. It's best to avoid selecting a time when there are other major events going on in your community that might attract the same people you expect to participate in your tournament. When you have narrowed your choices to a few dates, check with your local Chamber of Commerce, your city's Office of Special Events, and other organizations that publish schedules of upcoming events to verify that the time you are choosing is likely to be good. Before you can start marketing your golf tournament, it's important to set the fees for participation and different levels of sponsorship. In order to make sure your event is competitive with similar events in your area, it's a good idea to review what other charity organizations hosting golf tournaments offer and charge. While you want to make sure your event is unique, you don't want your pricing to be too high or too low. The moment that you have a date set and have decided on the details about cost and sponsorship options, it's important to develop a plan for publicizing the event and to start taking steps to spread the word about the tournament to both to prospective corporate sponsors and players, including individual golfers and companies that may be interested in entering teams in the tournament. Start out by creating a general news release announcing the who, what, why, where, and when of the event to release to your local newspaper, magazines, online event directories, and other outlets. Your publicity committee should then develop a plan of attack for generating buzz about the event with additional news releases, speaking engagements, posters, and other promotional techniques. Once all the planning has been done and the day of the event arrives, it's still important to be very organized. Make sure things are set up and ready to go long before the first player arrives. Set up an organized system for player registration, scoring, awarding prizes, and other tasks. Assign someone to greet media representatives who arrive to cover the event so that reporters have an easy time getting the footage, photos, and answers they may need. After the golf tournament is over and the results are known, be sure to send thank you notes to the sponsors, participants, and organizations that made donations to the event. The notes should be handwritten, and should express gratitude for support of the charity and participation in the event. Also share information about how much money was raised and how the funds will have a positive impact in the community. Following up your charity golf tournament organizing efforts by thanking everyone who helped make the event a success lays the groundwork for continued participation in future years, setting the stage for what could become an annual signature event for your nonprofit organization.